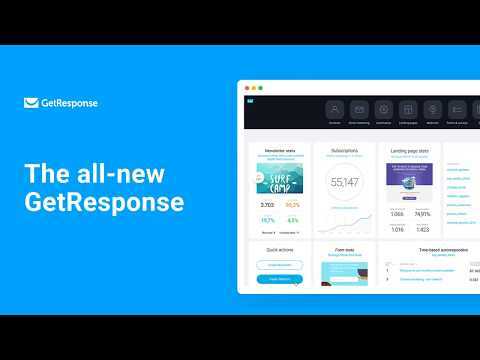 Get Response is a cutting-edge technology that provides all-in-one online marketing solutions to businesses. The platform consists of tools like campaign management and email marketing that help increase sales, return on investment, and assists in obtaining desirable online marketing results. The software includes features that help with email marketing, landing pages, marketing automation, webinars, CRM, auto-responders, enterprise solutions, and more. Get Response can also be integrated with other software tools such as CRM software and APIs to provide the best marketing result. GetResponse is a renowned company creating All-in-one online marketing platform to address business automation needs. They have served more than 350,000 customers across 182 countries. 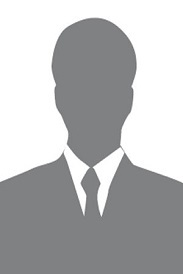 The company also operates internationally with more than 300 successful professionals on board. With GetResponse customers get the long lasting commitment to latest technologies and tools contributing to effective productivity with utmost customer satisfaction. Unleash your full potential with smashing, 100% responsive landing pages and web forms. To make your life easier, we designed an intuitive drag-and-drop editor with 150+ ready-to-go templates. Now you can transform wild ideas into profitable actions. Create top-notch web pages for opt-in, thank you, sales, webinars, and more in less than ten minutes without touching a single line of code. Want to generate more leads while keeping your existing customers engaged? For us, lead generation is much more than a buzzword. We’re the first email marketing service to provide a complete webinar marketing solution. With GetResponse Webinars, you will not only acquire new leads but also nurture existing customers, thanks to the advanced integration with all GetResponse features. Q. Can I try GetResponse before I buy? Q. What is GetResponse CRM? Customer relationship management (CRM) is a feature that lets you manage your company’s interactions with current and potential customers. It allows you to create pipelines. Pipelines are a visual representation of a sales process, or any type of interaction with your customer that involves a series of steps. They consist of stages, and each stage contains deals. After you’ve created a pipeline and added new deals to it, you can move them between stages, add comments, set up reminders to call or email your deals, or update important deal information. You can also group multiple contacts under one deal name, which helps you identify which product or service you’re offering them. Additionally, you can enter account manager information to help you identify who is responsible for which client. Q. How do I create and send a newsletter? Q. Can I start a workflow with multiple conditions? Yes, workflows may start with multiple conditions. There are two options for starting your workflow with more than one condition. The first option would be to put the conditions next to one another in the workspace, but without linking them to each other. In this case, each condition is linked directly to a given action. This creates an either/or scenario, where anyone matching either of the conditions, will move on to the action. Please note that in this case you need to make sure each path you create for a condition gets consolidated in a single flow. The second option would be if you link two conditions to one another. Then you can link to a specific action. This creates a situation where both (or all) of those conditions must be met in order to move on to the action. Q. How can I set up regular imports to my lists? You can integrate your GetResponse account with other applications to add contacts to your account on a continuous basis. This is known as cyclical imports and allows contacts to be added to your list in regular intervals—every day, every 3 days, or every 7 days. The great thing about GetResponse is the fast reception of Emails to all the subscribers to whom each email is sent, the truth is that the reception is processed in a matter of seconds each client has the email in his Email, the truth is that I am very proud of So good features that I've been getting from GetResponse. GetResponse is an excellent web-based facility which we use to manage multiple emailing lists for various brands. We particularly like the ability to create saved searches, individual campaigns and an easy to manage database. The wysiwyg editor is very good and works very well with our HTML code. We have occasionally had the odd problem with emails corrupting post send which is not ideal but have found as long as we schedule for a few minutes ahead and then check the preview we can get round this issue.